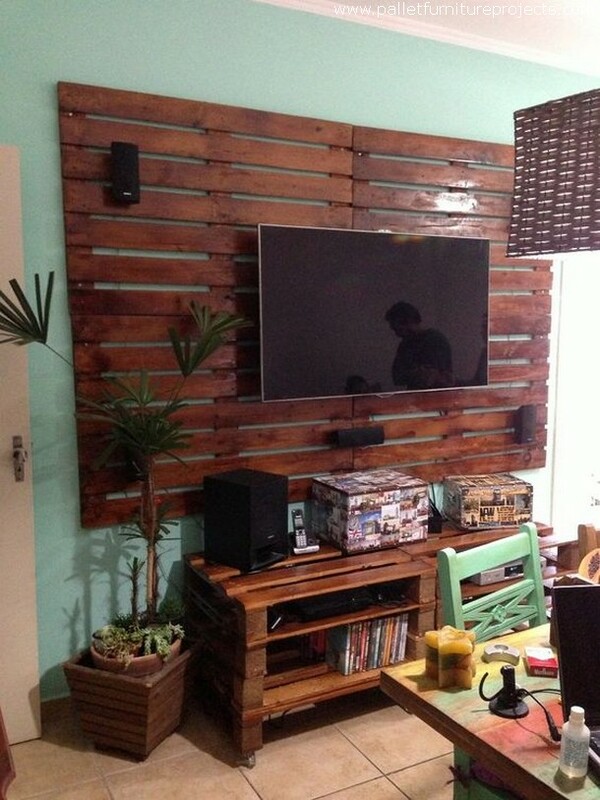 I think in the pallet wood repurposing, the thing that matters the most is creativity. And I strongly believe that creativity is something that is GOD gifted, this can’t be borrowed from somewhere. 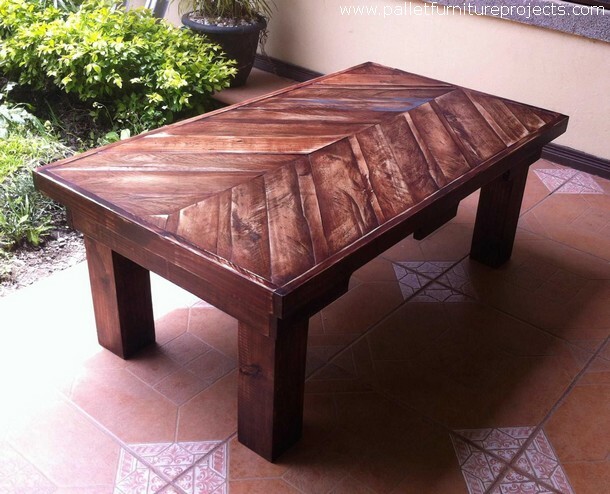 So if you are a pallet wood crafter or even just an aspirant bear this in mind that you have to be a bit excessively creative and smear to recycle the wood pallet furniture items or some other general creations. 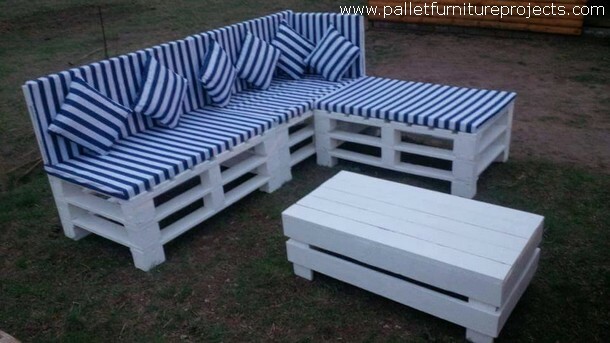 And if you are not creative by birth, you still don’t need to worry about this as we present you these creative furniture ideas with wood pallets. You can simply copy them. This is an ideal furniture set up for a short meeting or for playing some game like chess or cards. Four persons can easily be seated on the wooden stools. While the low to ground wood pallet tiny table could be used to place the chess board or some other stuff. L shaped couches have always remained in the lime light. Many brand of furniture have been using this pattern since long and the still the demand for this has never gone down. 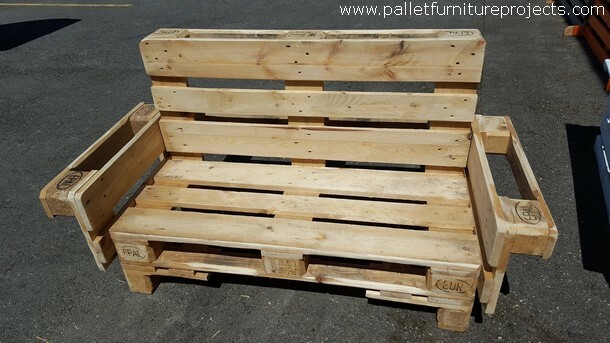 We also repeatedly make the wooden pallet couches on this pattern. This is the way to recycle the used stuff in the best manner. Like the base of the table is reclaimed from an old broken embroidery manual machine, the paddle and legs are reclaimed from that broken machine. While the whole top of the table is made using the shipping wood pallets. 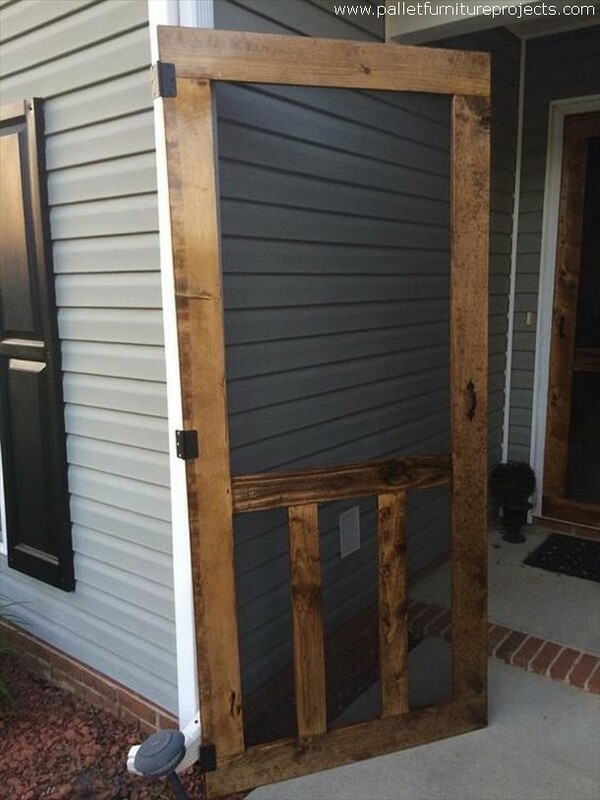 We just wanted to show you guys that the wood pallet isn’t confined to some typical wooden furniture items but some most practical items of the house like a wooden door can also be made using the shipping wood pallet. 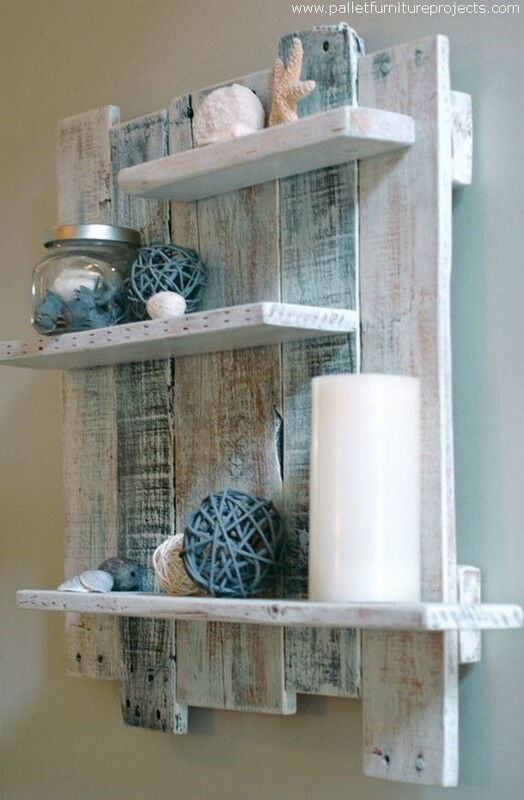 As this one is made with the pure pallet wood planks. I have seen so many people who are always eager to see the greenery and plants all around them. They are literally obsessed with the plants and flowers. So this one is a pretty perfect wooden pallet creation for such fanatics. Armrests can be turned into wood pallet planters. If you are living in a joint family system, the thing that would bother you the most is the storage space because each of the family member need some personalized space. 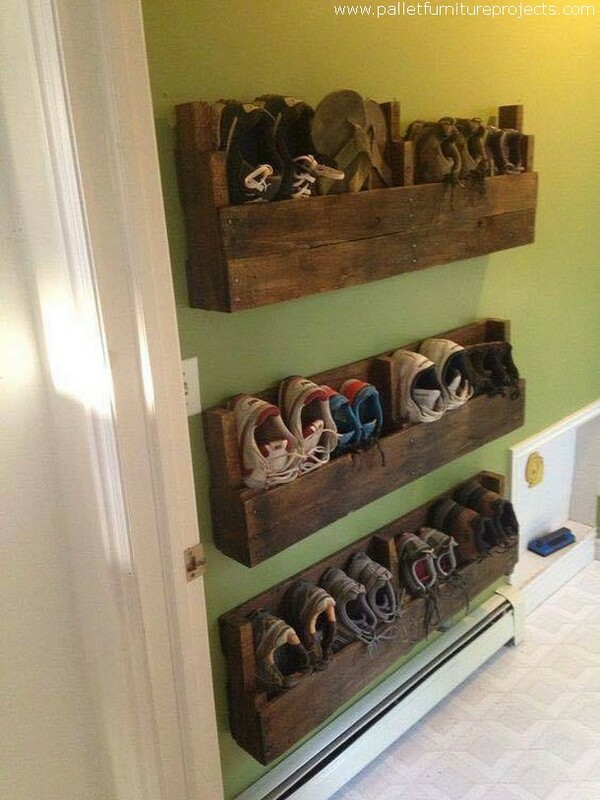 Meanwhile shoe rack also becomes an essential item, this time don’t buy the shoe rack from the market but recycle it with the wood pallet. I got these shipping pallets from a paint store, so they were already stained with paint spots. But you know what, to make it look more artistic we neither removed the spots nor stained the wooden pallet wall shelf properly. This is another famous pattern that is applied on the woo pallet top. 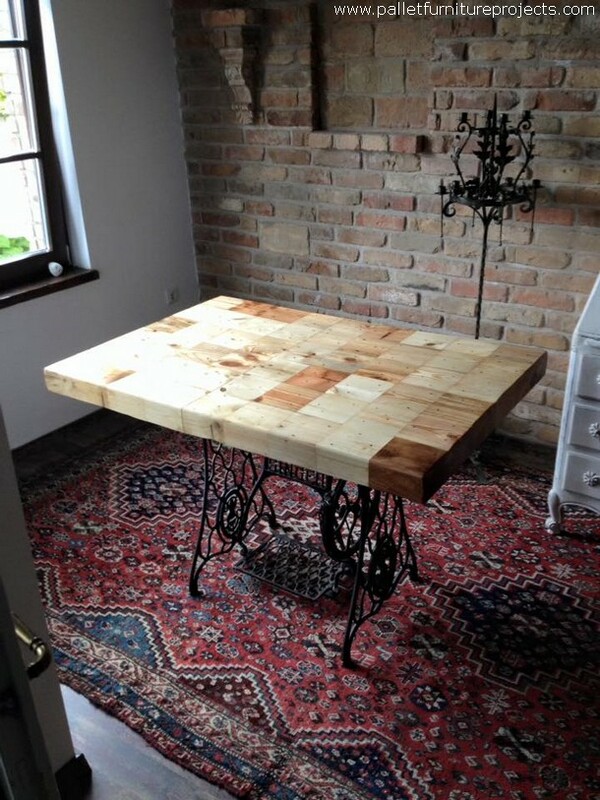 We have had a whole project of the similar wooden pallet repurposed tables in the last month. 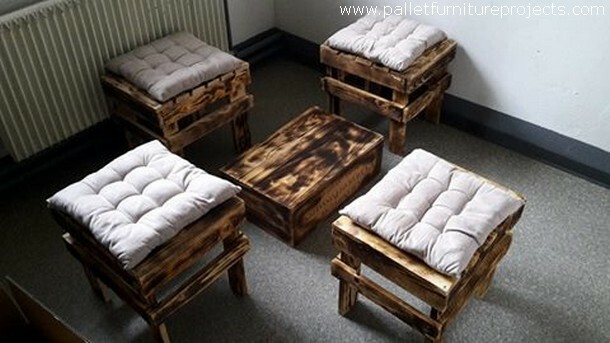 Such simple wooden pallet tables can simply be used anywhere in the house. The pallets we used here were quite fresh.